As a child, Miller Singleton (BS ’16, BS ’16) wanted to be a doctor or a princess. Ultimately, her passion for helping others triumphed. Miller Singleton graduated from the University of Georgia in May 2016 and is now heading to Medical College of Georgia at Augusta University. This young alumna is well on her way to making her mark on the medical world, while laying the foundation for future students through donations to her alma mater. Recently, Miller established a recurring gift to the Franklin College of Arts & Sciences’ Biological Science Fund. Her goal is to leave her alma mater an even better place for those to come. She’s grateful for the support she received in pursuing her medical career and hopes others will have the same inspiring, career-defining educational experience that she enjoyed. Miller’s drive to become a doctor began when she saw the compassionate care her aunt received after becoming wheelchair-bound. Her grandparents would constantly express their gratitude for the doctors and specialists who were supporting her aunt, and Miller felt compelled to make that same kind of difference for others in need. 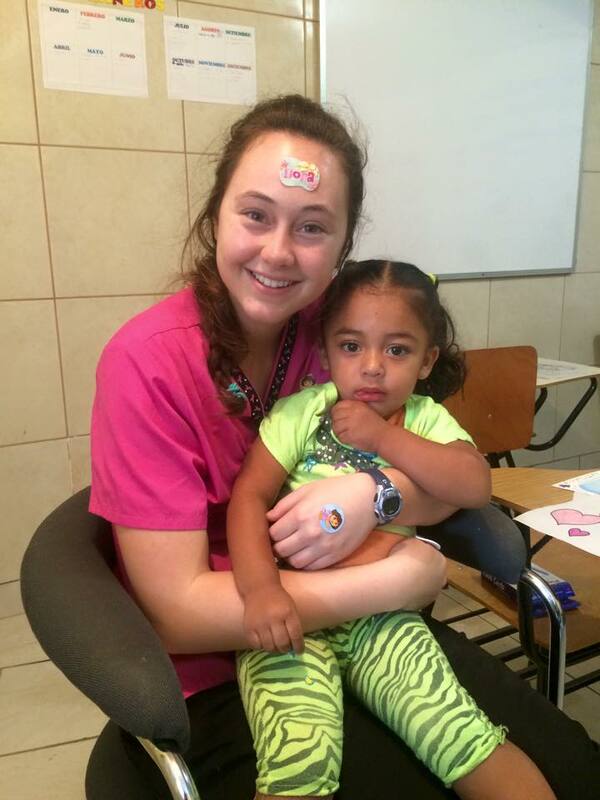 Miller Singleton working at a clinic in Costa Rica as part of an International Service Learning trip. 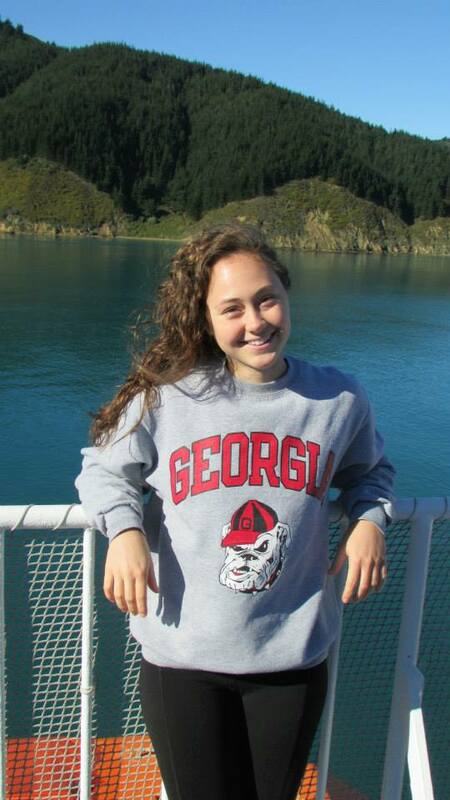 Miller hikes Aoraki/Mount Cook in New Zealand while studying abroad through UGA’s Discover Abroad program. Miller has always had a clear vision for how she plans to make an impact on the world, and she believes UGA helped transform her dreams into reality. She immediately fell in love with UGA and was drawn in by the strong sense of community she felt on campus. Coming from the small town of Camilla, Georgia, she was surprised and impressed to feel so close to her peers and professors at such a big school. Miller worked for the UGA Visitors Center and loved talking with potential students about how she found a home within the Bulldog family. During Miller’s junior and senior years, she served on the executive board of UGA Miracle, a student-run philanthropy that benefits Children’s Healthcare of Atlanta. She still gets chills thinking about their final event in Sanford Stadium, during which it was revealed that they had raised more than $1 million for children receiving medical treatment in Atlanta. The event was made even more special by the presence of some of the families that would benefit from the students’ fundraising efforts. Miller hopes UGA Miracle will continue to ignite passion on campus to help others just as it has ignited her interest in a career in pediatrics. As an undergraduate student, Miller enjoyed the opportunity to see the world through a variety of experiences abroad. Among these were a service trip to Lima, Peru, a Maymester spent in Australia and New Zealand, and a medical mission trip to Costa Rica. 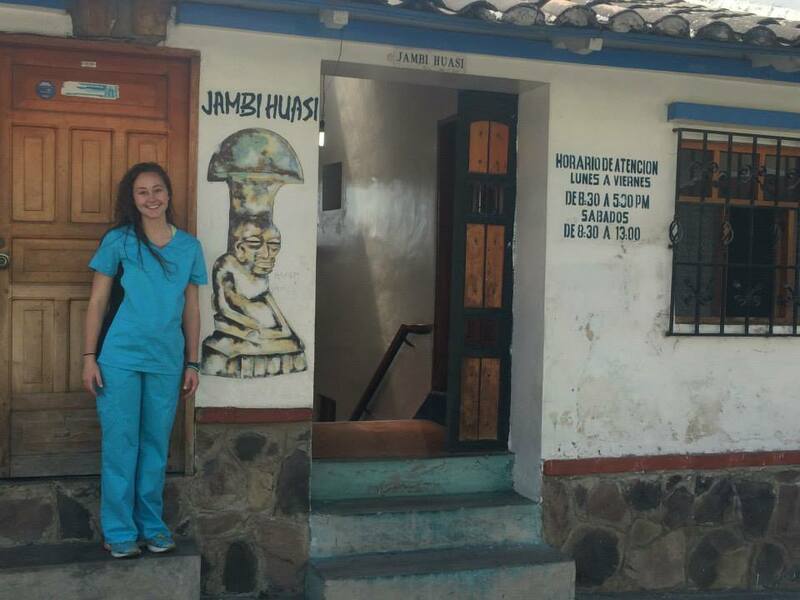 She also received a scholarship from the Honor’s Program to travel to Ecuador, where she worked in medical clinics and hospitals. These experiences taught Miller that in a time of globalization, the only way to be a citizen of the world is to travel. She plans to continue to immerse herself in other cultures and has resolved to visit every continent. 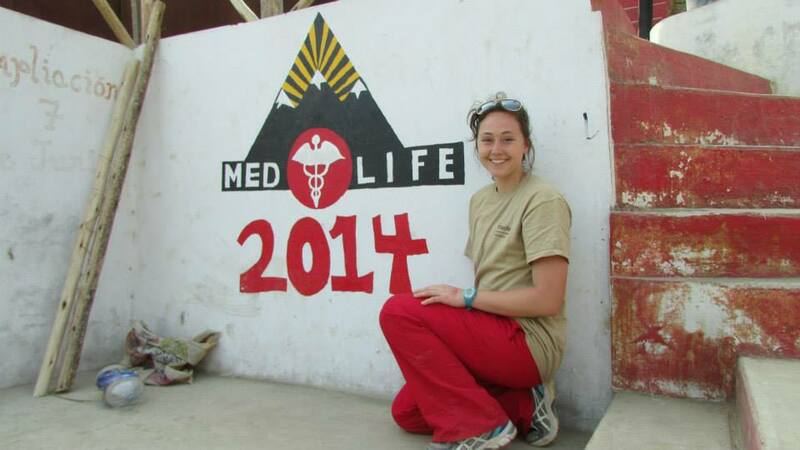 Top: Miller helps build a staircase for a community outside of Lima, Peru during her MEDLIFE medical mission trip. Bottom: Miller on a Child Family Health International trip to Quito, Ecuador.